Oh hai there! I’ve not completed either of Berry’s memes since she came back from her holiday break. Naughty, lazy, lost all of my practical joke photos when my external drive crashed – take your pick for my reason(s) why. But since I was in SL when Berry posted her latest AND I was taking photos already, I decided to hop on right now before I get out of the habit completely. Meme Instruction: Share a screenshot of your viewer setup and/or a list of tools/HUDS you guys use to make your Second Life experiences better. Don’t forget to leave a comment in this post with a link so we can all come and stalk you. If you share a screenshot, feel free to share them in the Blog Memes flickr group. I am using two photographs – one to show my viewer interface (above) and a separate one to show my HUDs. I did this so that the screen is less cluttered. Also, when shooting photos that show the interface and/or HUDs, the shots default to a low resolution setting. I decided just to use the raw shots, rather than going to the trouble of prettying them up. So this is exactly what came out of the can! But I’m not a blonde! Miss Berry is a birthday girl! And she gave us a gift we could give back to her for this Monday’s meme: we get to either create a pile-up or a meme using a photo she provided. Something tells me this is going to be like a birthday cake with trick candles; yes, she gets the goodies but there is surely going to be an unwanted surprise! She also wants to know some stuff about our own birthdays. Mine is December 27, and I was amazed at how many notable occasions are war-related. I’m going to try to find stuff that is a bit less depressing – who wants to hear about icky stuff on their birthday? Not me, and I’m not going to subject Miss Berry to it, either! Meme instructions: I know a lot of people may not be comfortable sharing their real life birthdays so you can pick and choose from a few options today. Whatever you guys decide to do, I would love it if you shared it in the comments (of this post) and got us all involved. 1. Answer the following questions about your own real life birthday. 2. Take any of the pictures of me shared in this post and pile them up, either by photoshopping them however you please or turning me into a meme. 3. 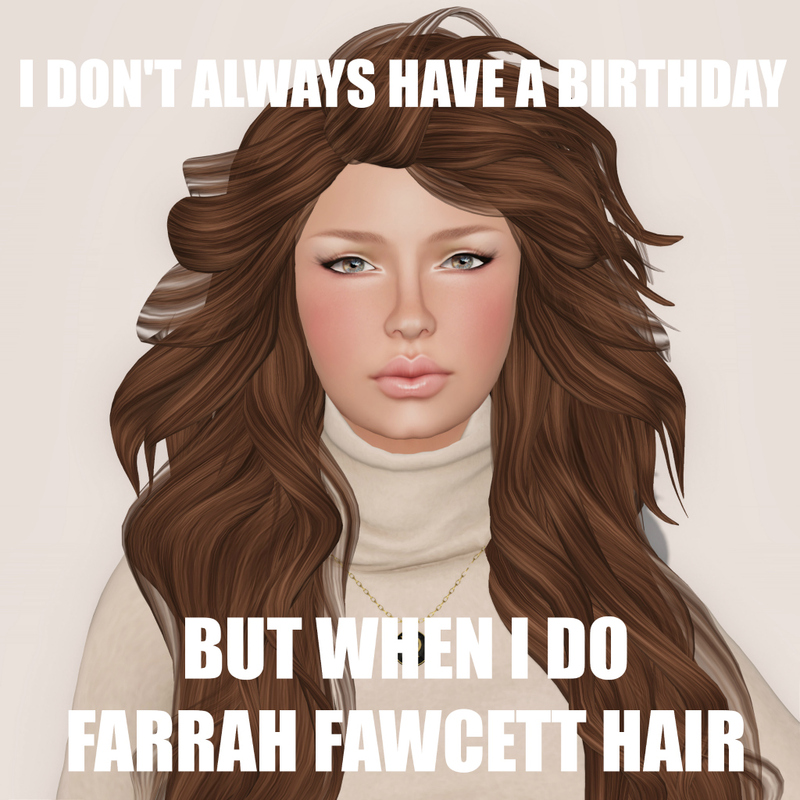 Create your own birthday meme and share it in the comments so we can all possibly participate. 1. When is your birthday? Oops, already answered this one. December 27. 2. Pick one person who shares your birthday and share what you know about them. I said I was going to stay away from war, but I still love the violence of my favourite sport – ice hockey! There’s just something about all of those toned, fit men speeding down the ice and smashing into each other that’s just, well, HOT! And although he’s not a Red Wing, I do share a birthday with one of the sexiest (and best) players in the NHL – Patrick Sharp. He is an alternate captain for the (former division rivals) Chicago Blackhawks, has won two Stanley Cups with the ‘Hawks, including last year (le sigh), was the MVP of the 2011 All Star Game and most importantly, he’s yummy! Don’t believe me? Check out these photos on this website, appropriately named, theberry.com. There’s your birthday present, Berry…enjoy! 3. List one notable event that took place on your birthday. Again, he’s not a Red Wing, but Mario Lemieux is arguably one of the best hockey players ever in the NHL. On December 27, 2000, he returned to the Pittsburgh Penguins as a player three years after retirement, becoming the first owner/player in the modern sports era (USA). He played for one team during his career and bought the team out of bankruptcy during his first retirement. He won two Cups as a player and has won a further one as an owner, becoming the only person to have his name engraved on Lord Stanley’s Cup as both a player and an owner. And he played earlier in his career while undergoing treatment for Hodgkin’s Lymphoma. He truly is a fabulous role model, whether you are a sports (or Pens) fan or not. 4. Tell us about a holiday that falls on your birthday. Hmm. I can’t find a holiday on December 27th related to hockey (although it is the day Chris Osgood of the Red Wings won his 400th game). I guess I’ll have to go with National Fruitcake Day. As it says on the webpage, fruitcake is possibly the most popular item for re-gifting. Please do me a favour, though – I’d rather you forgot my birthday than re-gift me a rock-hard, smelly ole fruitcake! I hope you have (had) a wonderful day, Berry, and many, many more to come – sans fruitcake!